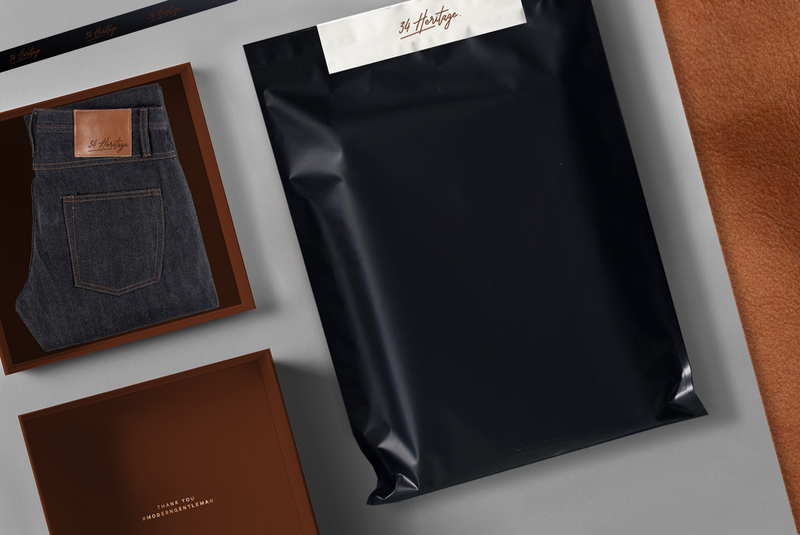 The Repositioning of a Modern Denim Brand. From logo, typeface, brand colors, brand story, brand guidelines, photography for art direction, style guides for digital and print and social media content guidelines, we made sure that 34 Heritage’s new brand identity was cohesive in every single outlet. 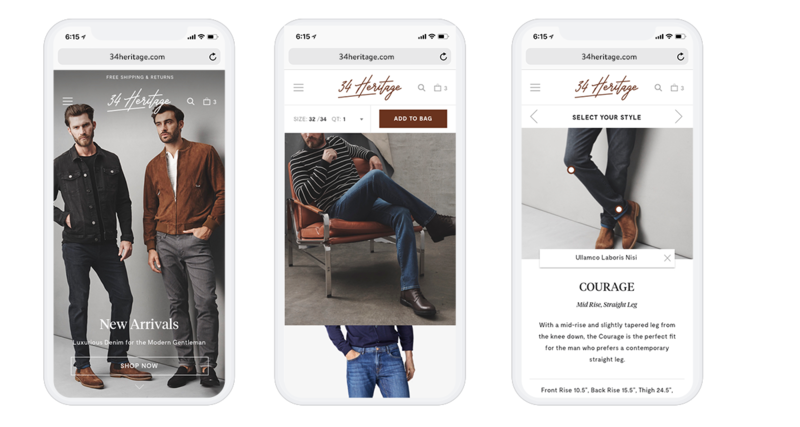 King & Partners designed the 34 Heritage newspaper print look book, we creative directed the campaign to ensure that the imagery reflected the new brand direction and is created with both print and digital usage in mind. Then we designed a sophisticated digital flagship for 34 Heritage capturing the brands true essence. 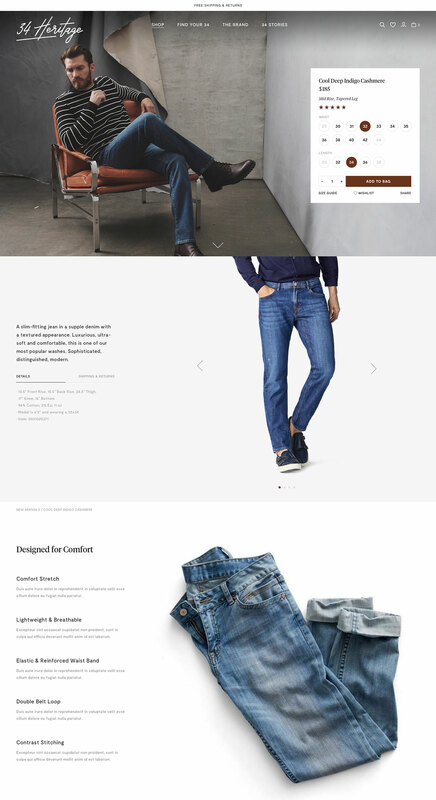 The simple and powerful site design introduces users to a smooth path to purchase. Product detail pages are designed with purchase confidence in mind. Add to Bag, price, and size stick to the page while scrolling to see product images and additional detail.